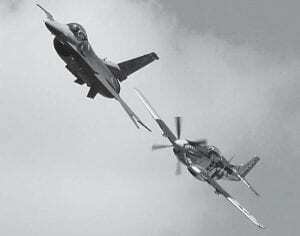 A F-16 Viper, left, flies a Heritage Flight with a World War II era P-51. The Wings of Victory Airshow, August 16 – 17, at Fairfield County Airport features the F-16 East Coast Demo Team, a F-16/P-51 Heritage Flight, B-17 “Memphis Belle,” Carol Pilon wingwalking, Soviet Mig 17 jet fighter, aerobatics and many more warbirds. Gates are open 9 a.m. to 5 p.m. with shows starting about noon. Admission is $10 with children 12 & under free. The airport is just off U.S. 33 west of Lancaster. Visit Historical AircraftSquadron.com for more information. Photo courtesy of U.S. Air Force. Night Hike: Friday, August 15, 8:30 – 10:30 p.m. Experience The Arboretum at night! Kids and adults are welcome to attend the hike through collections, woodlands and trails on one of our most popular programs. Free, meet at the Visitors Center Deck. Gems in the Landscape: Annual Art Show, August 16 – 31, 8 a.m. – 5 p.m. Monday – Saturday, noon – 5 p.m. on Sunday. This is a joint art show between The Arboretum and Licking County Arts, featuring artists from all over central Ohio. Visitors will experience works in media such as paintings, fabric art, photographs, sculptures and more. Free. Identifying Common Urban Trees – Saturday, August 23, 10 a.m. – noon. This class focuses on many of the common trees that can be found in landscapes, cityscapes and parks in urban and suburban areas of Ohio. Basic anatomy of the leaf, twig and bark will be discussed as well as branching patterns and overall dendrology. Don’t miss this excellent opportunity to glean valuable information and skills from a seasoned expert! $12/$10 members, reservation required, meet at the Visitors Center and outdoors. Barbeque, Bluegrass and Boom!- Sunday, August 31, gates open at 3 p.m. music begins at 3:30 p.m. at the Concert Stage, featuring a wonderful line up of several blue grass and “new” grass bands. Frosty Morning featuring Kenny Sidle will begin the afternoon festivities followed by the Dapple Grays. The Andy Carlson Band will take the stage next and the evening will culminate Newark-Granville Symphony Orchestra playing under the stars to a spectacular fireworks display. Dickey’s Barbeque and Gary’s Buckeye Barbeque will provide the barbeque for those who don’t pack a picnic. Lawn chairs, blankets, and picnics are encouraged. Lake Tours – Buckeye Lake. See historic Buckeye Lake by boat. Take a ride on the Greater Buckeye Lake Historical Society’s Queen of the Lake II. 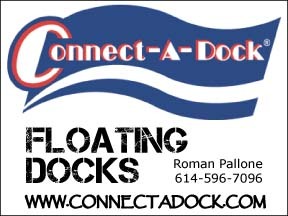 The 50-passenger boat cruises every Saturday and Sunday at 2 p.m. from May to October. Board at the Buckeye Lake State Park’s North Shore Ramp just off Ohio 79 in the Village of Buckeye Lake. Tours are not operated during thunderstorms. Suggested donations are $10 for adults and $8 for seniors and children. Children under age 5 are free. 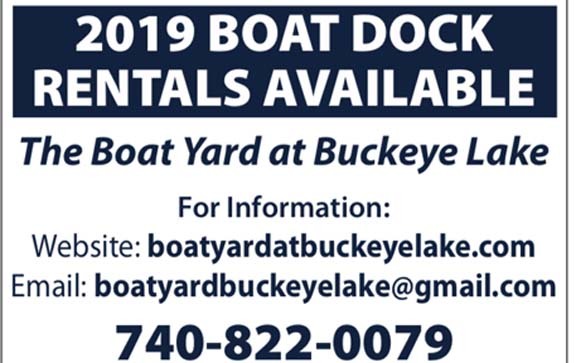 For more information call (740) 929-1998 or visit www.buckeyelakehistory.org. Cruisin’ on the Commons – Millersport. Coming to Historic Lions Park, Friday, August 15, 5 – 8 p.m., is the Millersport Lions’ third car show of the summer. Only $5 per vehicle gets your car, motorcycle or truck entered into the show. Registration is from 5 – 7 p.m. Plaques awarded at 7:30 p.m. There will be games, music, prizes and food. Historic Lions Park is located on Chautauqua Blvd in Millersport only a block from Buckeye Lake’s south shore. Take State Route 204 to Cruisin’ on the Commons. 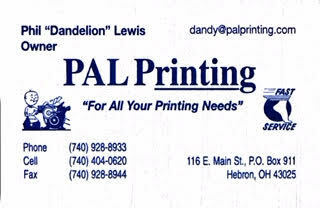 Licking Park District – Licking County. Here are some August events. 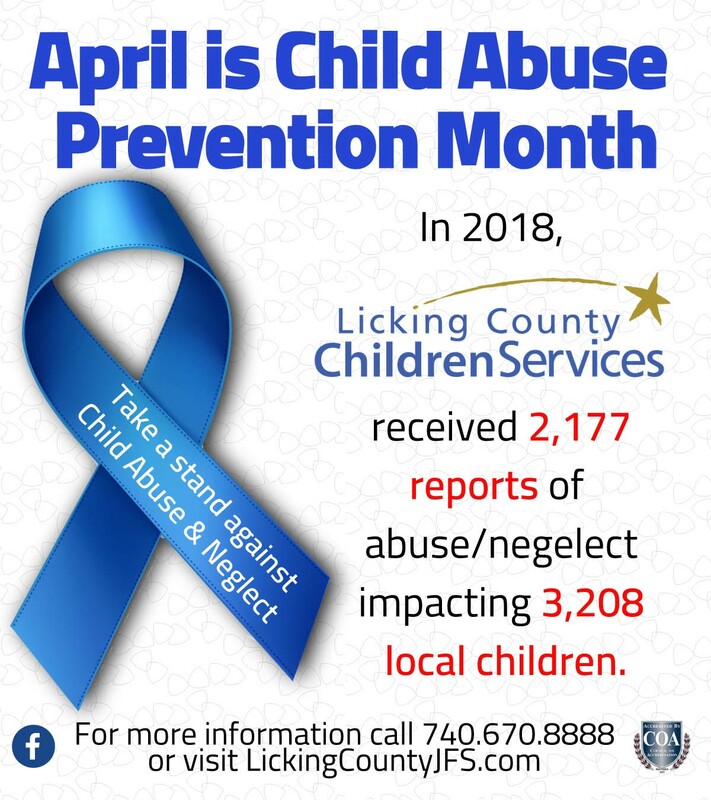 For more information, call (740) 587-2535 or visit www.lickingparkdistrict. com. • Aug. 23: Cruise In at the Park- Shine up the chrome and join us for the 13th annual Cruise In at the Park at Infirmary Mound Park on Ohio 37, south of Granville. Oldies will be cranking out all day and tasty homemade food will be available. The Mound City Corvette Club is assisting with the event so don’t miss out on seeing their cool Vettes. Trophies for the top 25 vehicles. There will also be door prizes galore. Registration is just $5 and runs from 9:00 a.m. until 1:00 p.m. Open to trucks and cars of all makes and models. Activities run from 11:00 a.m. to 3:00 p.m.
• Aug. 29: Senior Ramble – We will make our second visit to Lobdell Reserve focusing on the newly established prairies. The hike will be moderately strenuous and participants should bring water. Lobdell Reserve, main parking area. 10:00 a.m.
Columbus Zoo Family Nights – Columbus. Enjoy $6 Columbus Zoo and Aquarium admission including unlimited Zoo rides after 4 p.m. on Family Nights at the Zoo. The discounted summer admission rate gives guests access to the Zoo and unlimited Zoo rides, including the new Jungle Jack’s Landing, after 4 p.m. every Monday through Thursday throughout the summer. Discount is valid for all ages. Family nights at the Zoo provide fun and educational family activities every Wednesday from 4 p.m. to 8 p.m. through August 20. Fo rmore information visit www. columbuszoo.org.